In the morning of March 30th 2015, the Graduation Ceremony on Architecture, Regional & Urban Planning, Urban center & Works management took place at HCMUARC in a warm & exciting atmosphere. Distinguished guests at the ceremony included: Rector, Associate Prof, PhD. Pham Tu; Associate Prof. Nguyen Thanh Ha-Head of Office of Science & Technology Management; Associate Prof, PhD. 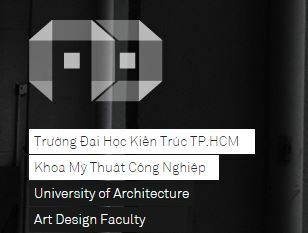 Le Thanh Son-Dean of Interior Architecture; Associate Prof, PhD. Pham Anh Dung-Dean of Urban Infrastructure. Also attending at the ceremony were: Associate Prof, PhD. Nguyen Trong Hoa-Past president of HIDS (Ho Chi Minh city Institute for Development Studies); Dr. Vo Kim Cuong-Lecturer of Training; Dr. Nguyen Tien Thanh-Lecturer of TDMU (Thu Dau Mot University). Relatives of 67 postgraduates were also presented to join the happiness at the ceremony. During the ceremony, HCMUARC conferred certificate of merits and awards on postgraduates who came off with flying colors. According to the university, 3 postgraduates who had the highest score of graduate thesis were: Nguyen Thi Ha Dung (Architecture), Phan Lam Huy The (Regional & Urban planning), Tran Thi Oanh Yen (Urban center & Works management). Vo Thi Thuy Trang, Dao Xuan Quang, Nguyen Thi Viet Ha were 3 postgraduates with the highest grade point average. Simultaneously, the university gave certificate of merits to 2 class officers-Trang Quoc Cuong, Nguyen Dang Nhat Minh. Addressing at the ceremony, Ms. Le Thi Thuy Hang-Vice Chief of Postgraduate & International Relations offered her hearty thanks to the academic staff for their unswerving contribution in training, guiding students to the final destination. She also spoke highly of postgraduates for taking great efforts in studying, researching and completing the hardest challenge in their schooling. New postgraduates Nguyen Dang Nhat Minh represented his friends to share the feeling during his 2-year stay at the great university. He also presented his gratitude to lecturers, family, relatives who stood by him throughout those years. At the end of the solemn ceremony, 52 postgraduates (course 2012) and 13 postgraduates (course 2011) were awarded diplomas.